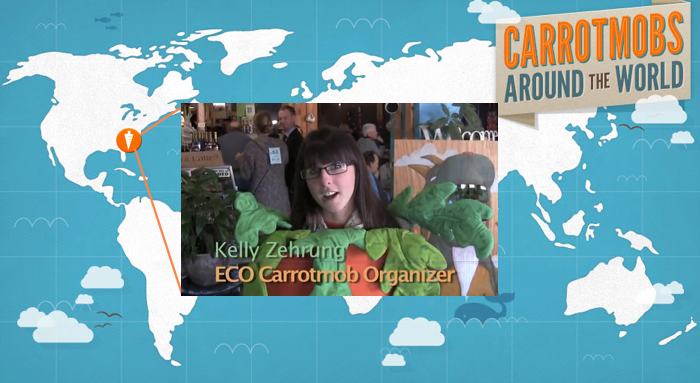 A feature on Carrotmob is being broadcast nationwide tonight on the PBS show, “Need To Know.” Tune in, or check it out below! 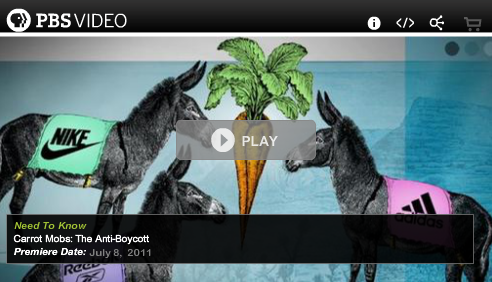 Watch Carrot Mobs: The Anti-Boycott on PBS. See more from Need To Know. Watch the clip here or the full episode. Thanks to PBS for spreading the word! A couple other things to point out… It would seem from watching this that Brent was responsible for planning the Carrotmob campaign at Matching Half Cafe, but in reality, all the campaign organizing was done by Clint and Morgan with the Wigg Party. Check out the sustainability initiatives that their organization is working on. Thanks for making the Carrotmob movement shine, guys! Also Brent doesn’t actually own a car. And he’s now 30. Otherwise, the piece speaks for itself! 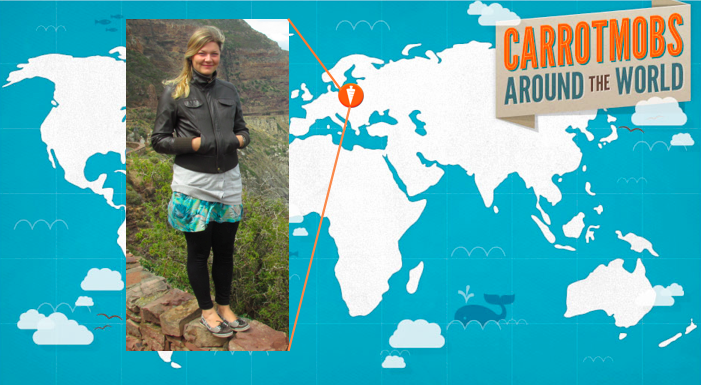 Sign up for the mob at carrotmob.org, and we’ll be relaunching a new site in a couple months!